It wasn't too long ago that VW set its sights on the lucrative US car market in a bid to upset rivals like Ford, Hyundai, Toyota and Honda. One of the first revised models they unleashed upon the masses was the Volkswagen Jetta, a sporty compact that to this day represents the best of what German engineering has to offer, at a price palatable to most Americans. After the release of the redesigned 2013 Volkswagen Jetta, the move paid off when it became the best-selling vehicle in their lineup. This year the Jetta is back with new features and package options, a new 1.8-liter turbocharged four-cylinder engine and revised suspension components for a smoother ride. 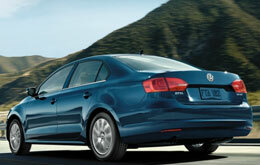 The VW Jetta is available in Orlando in several trim levels, including S, SE, SEL and SEL Premium. The Base Jetta and Jetta S come with features, like: air conditioning, powered windows and doors, 15-inch wheels, cloth seats, a tilt-and-telescoping steering wheel, a four-speaker AM/FM/CD audio system and auxiliary jack, a 60/40 split-fold rear seat, keyless entry and cruise control. Stepping up to the mid- and higher-level trims like the Jetta SE, TDI and SEL adds: higher-quality interior materials, a more powerful engine, powered front seats, 16- or 17-inch wheels, keyless ignition, a leather-wrapped steering wheel and vinyl seating surfaces. Upgrade packages are available that include luxury niceties like heated front seats, an improved stereo system, a sunroof, navigation and more. 2014 VW Jetta drivers in Orlando can count on five engine options this year, including the aforementioned 1.8-liter turbocharged engine, along with several 2.0- and 2.5-liter options. It's worth noting that many VW Jetta reviews praise this capable vehicle for its fuel efficiency, thanks to a clean diesel option in the TDI model that produces 140 horsepower and 236 lb.-ft. of torque. 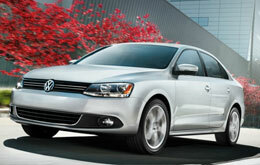 Learn more by continuing below, or contact David Maus VW South, located at 5474 S. Orange Blossom Trail. Compare the latest Jetta model to its rivals and we're positive that you'll choose it over vehicles like the 2014 Honda Civic, Hyundai Elantra and the Ford Focus. If the Jetta's state-of-the-art cabin amenities and attractive exterior design don't convince you that it's the best vehicle for you, we're sure its low price will. When compared to the vehicles in its segment, in terms of price it's clearly a spectacular value, making it a first choice among Volkswagen customers in Orlando. 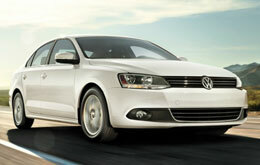 Get more information about what it offers - Look through our Jetta Quick List under this paragraph! Make the most out of your next Volkswagen purchase. David Maus VW South offers reviews like the 2014 Jetta one above, along with reviews of preceding models, so you can research before you buy. We stand out from the rest by offering reviews provided to assist you in your vehicle search. You can be sure of the information in this article to be credible and provide you with the details you need to [decide] if you want to purchase the Jetta. 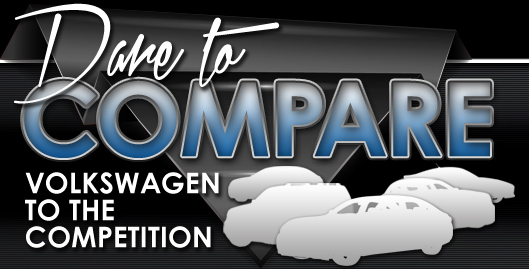 If the Jetta isn't right for you, please review and compare Volkswagens other award-winning vehicles now.